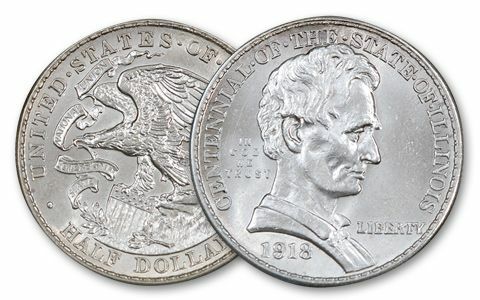 Now you can own the first U.S. legal-tender silver coin depicting Abraham Lincoln! 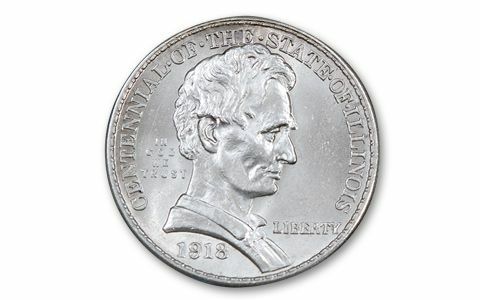 The 1918-P Lincoln-Illinois Commemorative Half Dollar was authorized and struck to celebrate Illinois' 100th anniversary as a state. The very first coin issued to mark such an occasion, it featured Morgan's beardless Abraham Lincoln. 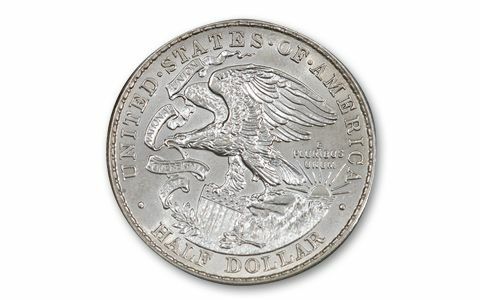 Less than one-half of one percent of all 1918 Half Dollars were of this Lincoln design!